We have TEAMED UP with CREST to offer awesome package of products to help your oral hygiene be great, Please ask us how to receive this great package! Who is starting Invisalign today? Who got their braces off today? Call 215-271-8870 To Schedule an Appointment Today! All of us here at the Office of Dr. Steven Cohen are dedicated to taking care of your orthodontic needs, using the latest technology and advances available. We understand that every patient comes with different needs and expectations and we will do our best to address each of them. In our office Dr. Cohen personally performs all of the “wire bending” and cementing of appliances, giving you the highest quality orthodontic care to achieve the finest results possible. 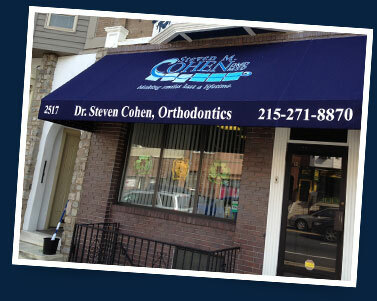 This has helped him become the highest rated Philadelphia orthodontist.